Every student, at some point, will need help with getting their essays done. They have so many more responsibilities than students of the past, so they’re struggling to meet their deadlines. That’s where an essay help service like ours comes in. Here’s what we can help you with, and how you can buy a college or university essay with our essay writing service. Do essays need a conclusion? Is essay required for SAT? Should essays be written in the present tense? How to plan an essay outline? Are custom essay writing services illegal? How to become a good essay writer? An essay is a long-form piece of writing, usually written by students, that is used to display their knowledge on a certain topic. It can take several different forms, which are detailed below. To pass their studies, students need to complete essays to show they’ve taken in the learning required. Descriptive essay: This format is often used to get you to really understand a topic. You’ll be asked to explain what a topic or object is. You’ll need to get to grips with the topic and describe it fully to the reader. Think of your essay question as asking ‘what is this topic?’ You’re looking to give the reader a full understanding. Compare and contrast essay: In these types of essays, you’ll be asked to examine two different topics and look for the similarities and differences. What makes those two topics the same, and what makes them different from each other? Narrative essay: This style of essay is asking the writer to describe an event or experience that they had. This kind of college essay is becoming more common, with professors asking students to describe their own processes and experiences. These essays are typically written in the first person. Process essay: This essay is you explaining, step by step, how you’ve gone through a certain process. This kind of custom essay is often used in the sciences when students need to explain how they’ve done an experiment and reached their conclusions. Argumentative essay: This style of essay is designed to get your point across to the reader, and sway them to your way of thinking. To do this, you’ve got to use solid facts in your argument, and construct your argument so you’re breaking down every point that stands against you. Introduction: Here’s where, as the name implies, you’ll be introducing the topic you’ll be writing about. If you’re writing an argumentative essay, you’ll be putting your main point across here. If it’s a compare and contrast essay, you’ll be talking about your two main topics. You’re basically telling the reader exactly what you’re going to talk about. The ‘What‘: What are you looking to put across here? What suggests that your thesis is true? Do you have the evidence to back this up? The ‘How‘: How can you defend your thesis? If you introduce other circumstances, do your findings still hold up? The ‘Why‘: Why does your thesis matter? 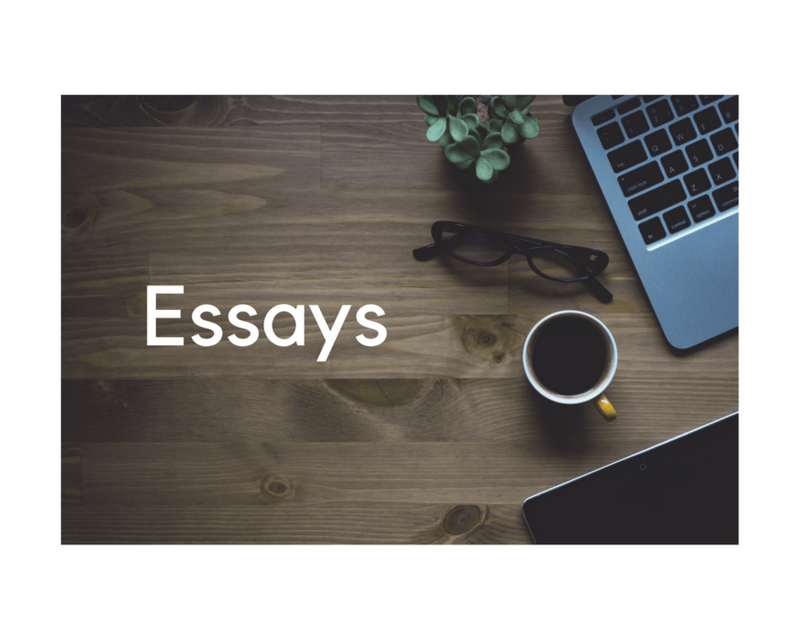 Why is it important that you’re writing this essay and putting your case to the reader? Are you still not sure how to go about writing your essay? As this guide from the Guardian shows, there’s not as much to worry about as you’d think. You’ve got to be using your higher cognitive abilities when you’re writing essays. As a reader, you need to poke holes in the source material you’re reading. Where are the gaps, and how can they be filled? This goes for your own arguments too. You may think you’ve got a fantastic argument, but you’ve got to be able to look at it critically. Don’t feel as though you need to read the whole reading list before you can start writing. Most reading lists have the vital pieces listed at the top, whereas the others are books that can flesh out your knowledge further. When you’re reading, only read the relevant chapters, as you simply don’t have the time to read whole books. The best way to see how to write a certain essay is to look at examples from expert writers. Which example is the best for you? Introduction To An Essay: This example marks out every section of an essay, and what you need to be including. The labels show you exactly what each part of the essay does and how it furthers your argument. Sample Essay: This short essay shows you exactly how a good essay is laid out, and even gives you the resources used to write the essay. It’s a good example of what structure you’re expected to use when you’re writing. Skills Hub Example Essays: This resource gives you a few different essays to peruse, based on topic, subject, and student experience. Sometimes you can have all the knowledge and experience needed to write an essay, but you’re still not able to take care of the job yourself. Maybe you have too many essays at once, and you can’t handle them all. Maybe you just have too many responsibilities and you’re finding it difficult to handle your essays on top of that. If this sounds like you, then you need a trusted academic writing service who can help you out. If you look at hiring a writer to handle your essay, you’re going to be hiring someone with the right experience to handle your subject and get you good grades. You’re saving yourself a lot of the work that you need to do if you handle the essay by yourself, so you’re instantly saving a lot of time and effort. Students from around the world, including countries like Australia and Canada, are looking for a cheap essay writing service that can help them. If you do your homework and get a service that hires expert writers, you’ll be able to get your essay written quick. Sometimes you can get it in as litter as 3 hours. No matter who you go with for your paper writing service, you need to know that they’re doing the best job for you. Are they writing a paper that’s original and unique? You’ll need to look at samples of their work, and see whether they’re able to write without plagiarising, as many others do. There’s plenty of students out there who are Googling, ‘Can someone write my paper for me?‘ or ‘Can someone do my essay?‘ Students are looking for help, and if you’re one of them, you’ll see there’s plenty of help out there. All you need to do is plug the phrase ‘Who’s the best essay writer online?‘ and you’ll get thousands of responses. Do your research, and you’ll get a writer who’ll get you the grades you need. So you can buy an urgent high school, graduate, or masters level essay online, sometimes within 24 hours. Is that going to cost you a lot of money? If you buy essay you may be looking at shelling out a lot of money. Like all purchases though, it pays to shop around. Make sure you’re reading reviews and checking prices before you pay for anything. No matter whether you’re writing an essay for an exam or a class, or what topics you’re writing on, you’re going to need a conclusion to your essay. This should wrap up everything you’ve written in your essay, and show your reader what you’ve talked about so far. Depending on the subject you study at SAT, you may need to write essays for them. For example, English and history are subjects that always require essays, as they need you to demonstrate critical thinking. Being able to write a well-argued piece in these subjects is vital. That’s why many students studying these subjects look for services that are writing essays. A short essay format would consist of just an introduction, the main body that contains the argument, and then a conclusion that wraps it up. You can put forth an argument in just one paragraph, depending on what your short essay is about. If you’ve done the required reading, making an outline is simple. Make a diagram of all the topics you want to cover in your essay. Now, you’ll want to slot these into a regular essay outline. If you’re writing an argumentative essay, for example, you’ll want to separate out all your arguments into their own paragraphs, with the evidence for them. There are plenty of easy essay writing services out there, which you’ll see once you start looking. All you have to do is search ‘write my paper‘ and you’ll find thousands. The key is finding a company that legitimate, and cheap. Once you have that, you can get help with your law or literature paper right away. You’ve got to be careful picking a service that can help, as you need a writer who really does know their stuff. You want a writer who’s experienced in your subject, so don’t be afraid to ask questions, and walk away if you’re not happy with the answer you get. Although it may seem that these essay writing services are less than legal, in fact, you are perfectly within your rights buying a 500-word essay. They’re sold as guides to help you study in your subject, and often writers act as tutors to help you get top grades. As long as you know this, you’re well within your rights to order a paper. If you want to improve your essay writing skills, the first thing to do is read your feedback on your current essays. Look at what your professors are saying, and act on their advice. Next, give yourself lots of time to work on your essays. the more time you have, the better attention you can give your work. Your teachers were right, you’ll never write a good essay if you leave it to the night before. Finally, ensure that you’re doing the reading, and planning out your essays. The more you plan, the more sense your essay will make, and the easier it will flow. There are all kinds of reasons why a student would buy their essay from an essay writing site. They may be struggling with the subject material, and aren’t able to talk to their professor about it. They may not have the time to get all their essays done before the deadline. They may have other responsibilities, such as caring for a family, and they may not just have the time to get it done. There are so many reasons that it’s hard to pinpoint exactly why students go to writing services. If you’re a student that’s struggling to cope with your workload, then it may be time for you to find the best essay writing service for you. You can take your pick, all you need to do is read the reviews and find a service that’s known for their good work. As you can see, with a little work you can craft the perfect essay. If you need help, don’t be afraid to ask for it.